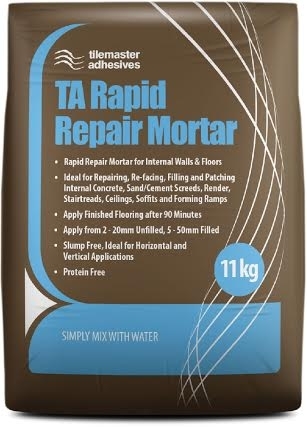 TA Rapid Repair Mortar is a rapid drying, fast setting repair compound for internal repairs. 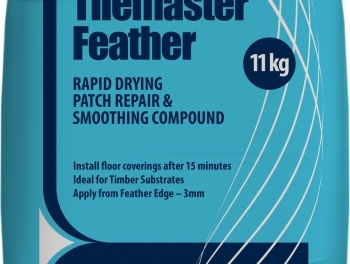 The product is designed for repairing, re-facing, filling and patching floors and walls. 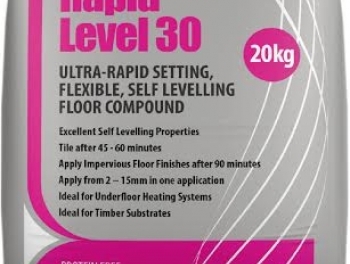 TA Rapid Repair Mortar is suitable for use on Internal concrete, sand/cement screeds, render, stair treads/risers, walls,ceilings, soffits and for making good around pipe work. 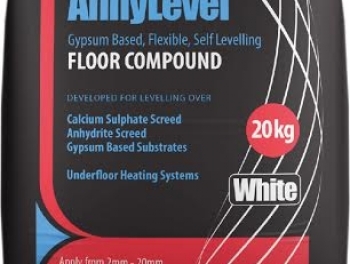 It is also ideal for forming ramps up to 50mm and for forming coves. TA Rapid Repair Mortar is ideal for depths between 2 - 20mm unfilled and when mixed with aggregate can be applied to depths of 50mm. 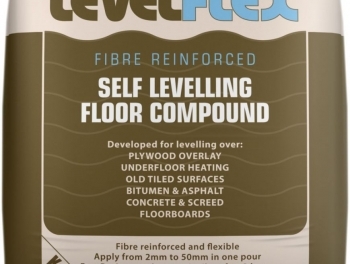 The mortar reaches initial set after 15 - 20 minutes, is set sufficiently to walk on after approximately 30 minutes and can be covered after just 90 minutes regardless of application thickness.